Watch for this Curry 2 to release this week. 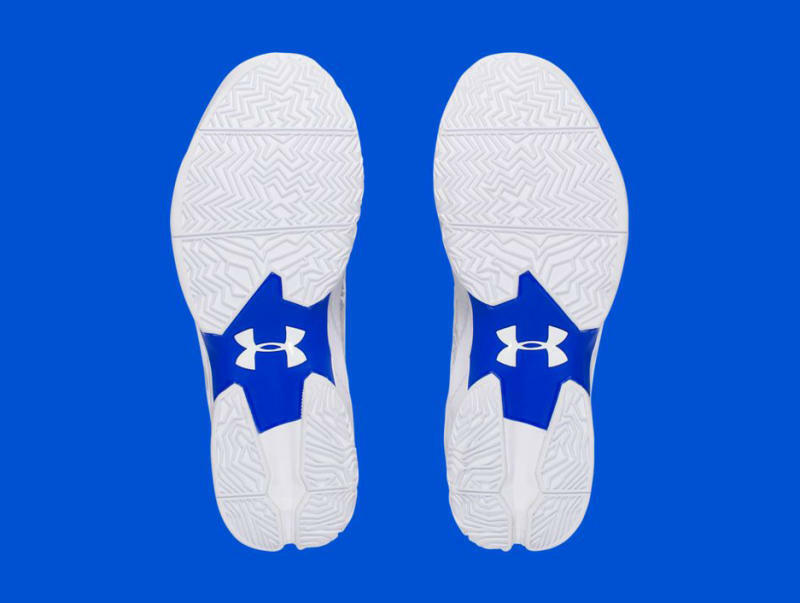 While the "Chef" Curry sneakers took a huge beating on social media, nobody can deny that this next pair of Under Armour Stephen Curry shoes is pretty wavy. No, literally–the sneaker has a wave graphic covering its upper. 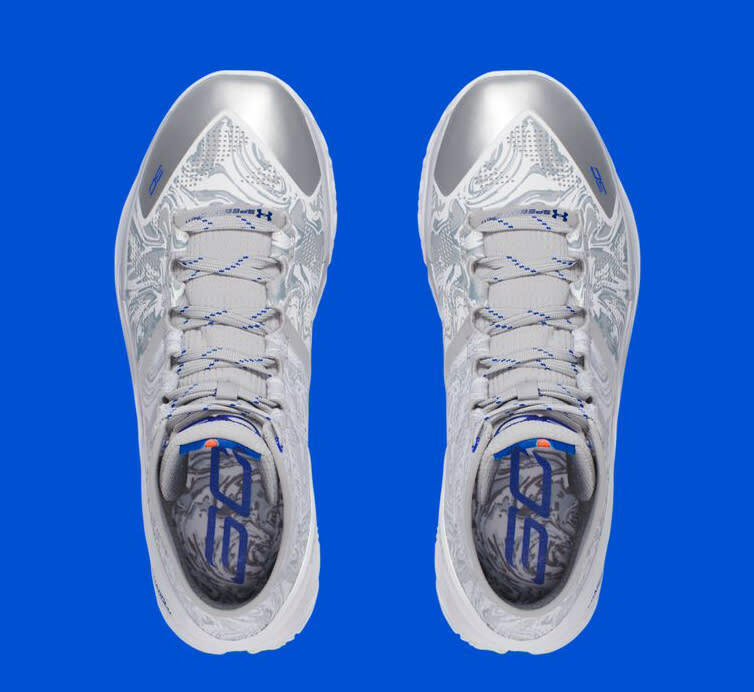 Under Armour hasn't officially unveiled this shoe just yet, but the graphic on the inside of the tongue has a Silver Surfer-looking character, which seems to be a reflection of the theme. This isn't the first time this sneaker has donned a superhero-style look: last week, Under Armour released a Batman-inspired colorway. 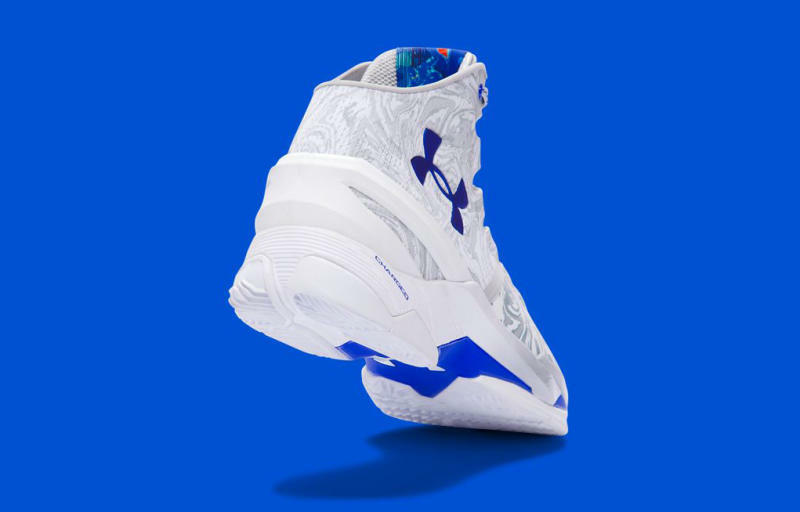 The Under Armour Curry 2 "Waves," as it's officially being called by the brand, releases on June 16.